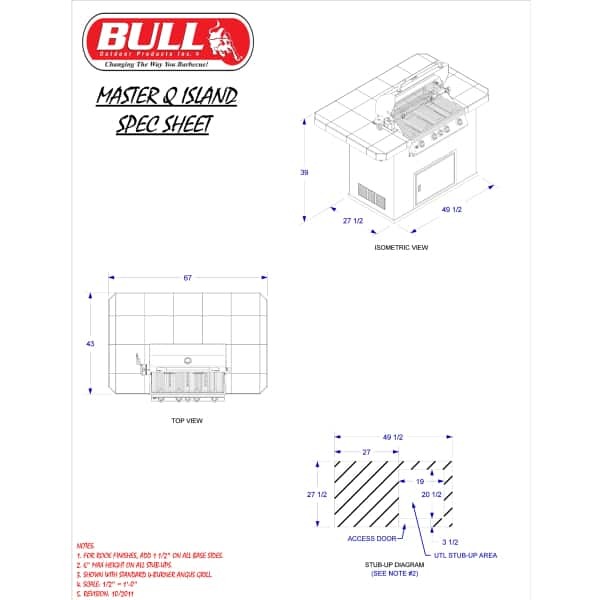 Create an outdoor kitchen complete with a grill and bar on your patio or next to the swimming pool with the Master-Q Grill Island with Stone Base from Bull Outdoor Products! 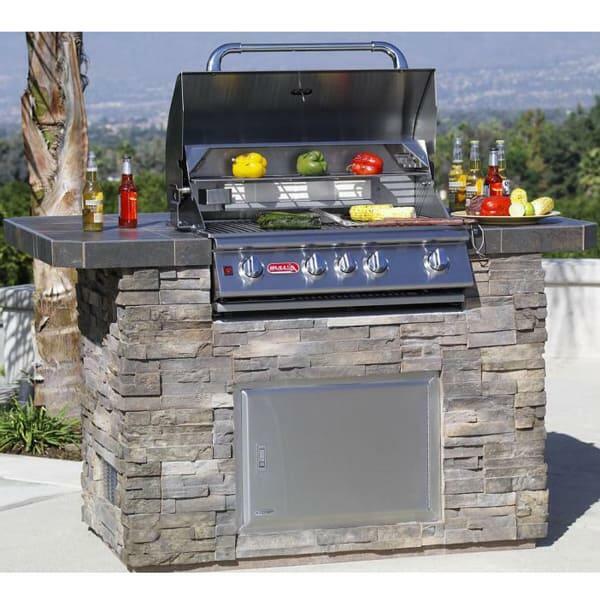 Football Sundays and weekend cookouts will never be the same after you add this Barbecue Grill Island to your outdoor space. 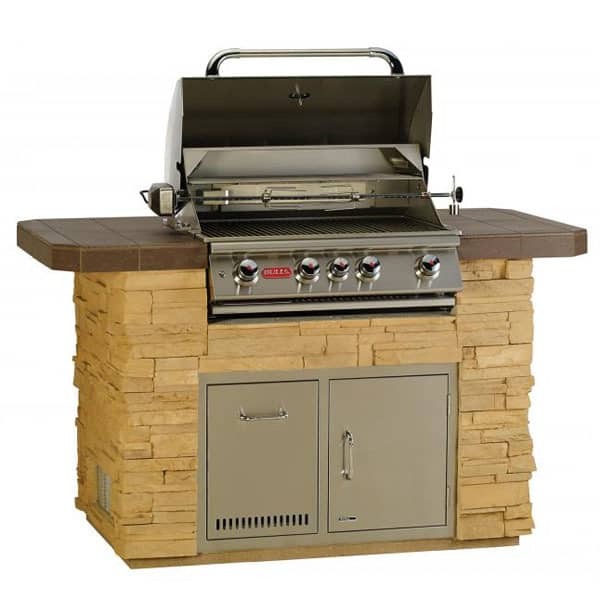 This model offers several standard features your master chef will love, from the lockable stainless steel access door to the Angus grill head with more than 75,000 BTU's of cooking power. 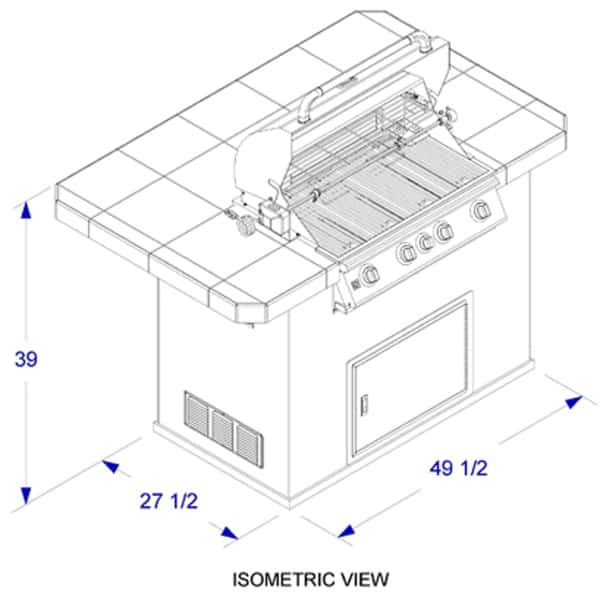 And if you're looking for more power or punch in your outdoor lineup, customize this grill island with the Brahma Grill Head with more than 90,000 BTU's of power for faster steaks and cheeseburgers. 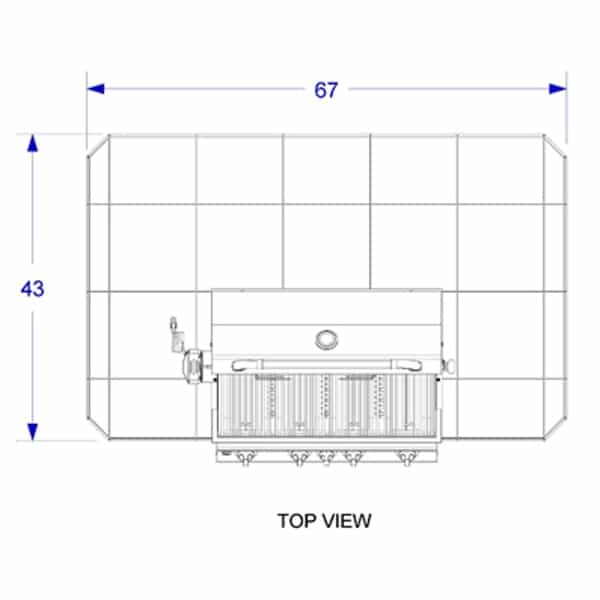 Other upgrades are listed below and in the drop down menus to the right, such as the enhanced grill head or the dual speaker CD player, so be sure to browse all of the upgrades or call for more information. 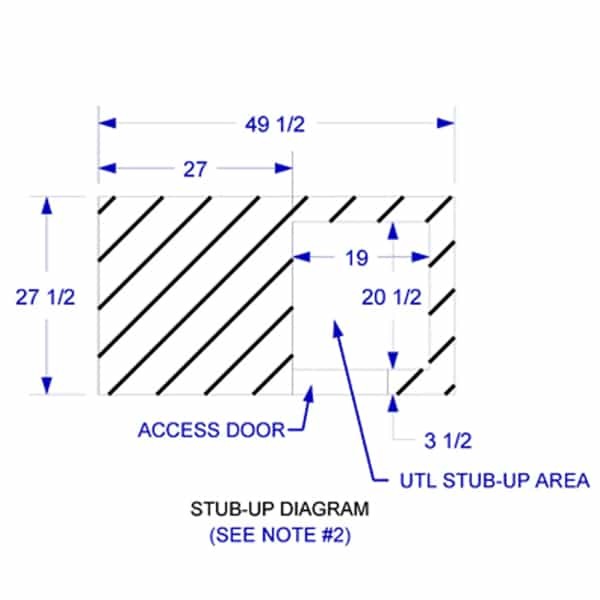 Tile Counter Top - 13" x 13"